Our company rankings just got more interesting. Last year we gave you the world’s Most InDemand Employers, along with sub-lists for specific countries and functions. Now we’re taking our insights down to the city level and just today at Connect in New York, we announced the Big Apple’s winners. So where do New Yorkers most want to work? 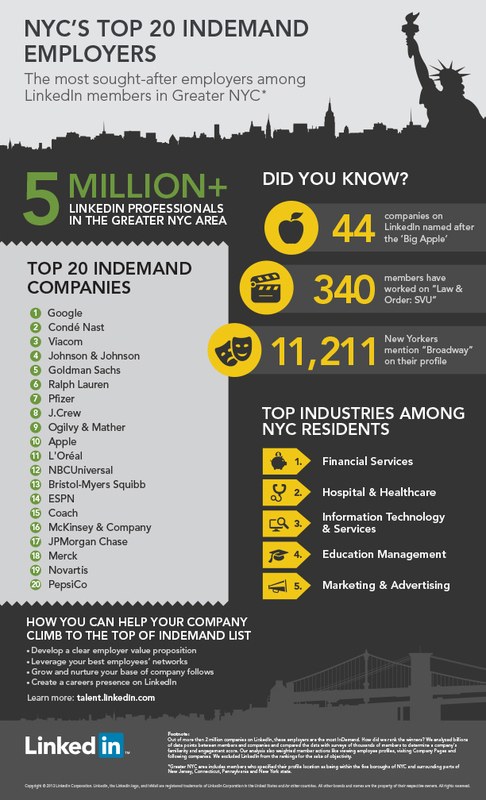 Based on LinkedIn’s massive data set - and the actual actions of over five million professionals residing in the New York area* – here’s a snapshot of the city’s professional landscape and it’s most desirable employers. Media is also well represented, with Conde Nast, Viacom, NBCUniversal, and ESPN the most attractive to potential candidates. Do you know how attractive your company is to prospective candidates, in New York or elsewhere? 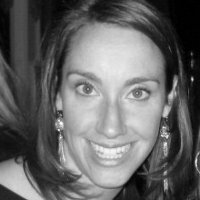 A good reputation makes recruiting easier and will save you money. Today’s ranking is just one example of how you can use LinkedIn data to recruit more strategically. Our Talent Brand Index, a simple metric that allows you to measure and improve your talent brand, is based on the same framework as the InDemand rankings. You can use it to understand how your employer brand stacks up against competitors, in different geographies and functions, and over time. Best of all – it’s free. Contact us today to learn more about your customized Talent Brand Index. Once you know where you stand using the Talent Brand Index, you can set your goals for where you want to go. Download our Employer Brand Playbook – we’ll show you the way.